How do you remember those that have passed away? Do you have a way to pay your respects to them? How will the future generations learn about their ancestors? A new trend is emerging on how we remember and learn about our loved ones who have passed away – A headstone QR Code. 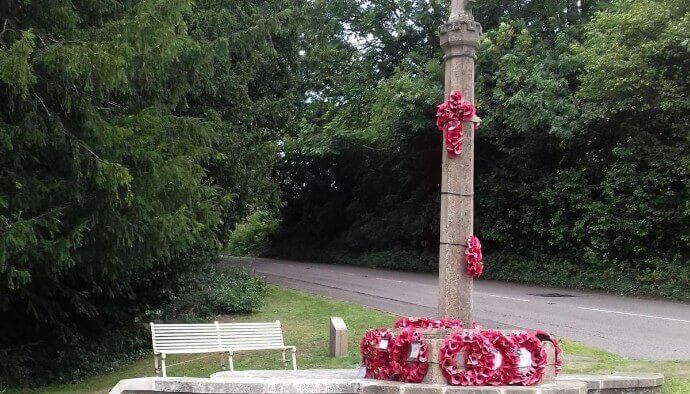 In Almondsbury Memorial (England), the Government is using QR Codes to pay a tribute to their brave men. 111 village men who fought and 24 who were killed in the Great War are identified in a specific area of The Roll of Honour. While a bomb damaged it during World War II, it was later repaired. There is a special marker next to the memorial with QR Code. The QR Code links to a website that provides information about soldiers named on memorial. This is what the Government of England is doing. What are family members doing? Across the world, families are inscribing QR Codes on the headstones of their loved ones. Scanning this QR Code with a smartphone, will lead the visitor to an online tribute for the deceased. In a few cases, the visitors were also able to pay their respects by leaving a comment for the family. You can share testimonials, stories, pictures, and videos of the deceased via QR Codes. This way, the family members can celebrate the life of the deceased. 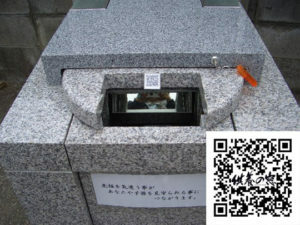 In Japan, QR Codes on headstones are common. Bad Oeynhausen, in northwest Germany, is soon to install QR Codes in cemeteries. “I wanted something that expanded beyond the headstone so that people could know more about him. 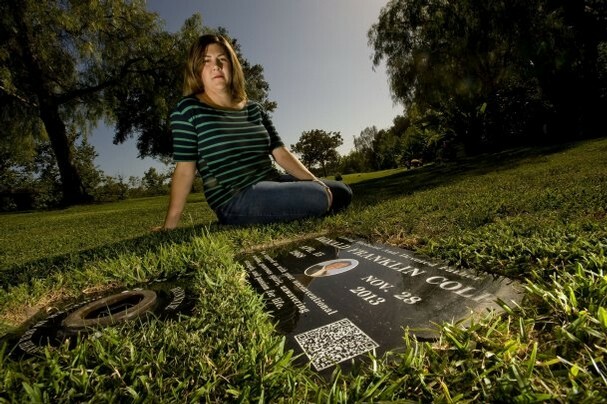 … He’s so much more than a headstone.” – Taline Cole on putting up a QR Code on her husband Ronald’s headstone. Due to weathering, the engravings on the headstones might fade away. Installing QR Codes on headstones will let visitors access the information on their smartphones. Also read how are QR Code being used across the globe. As this trend is picking up, headstone masons are now adding QR Codes to the memorials. This requires a considerable amount of skill and accuracy. “I think what’s appealing is by having a QR code there’s a chance to have so much more information on lost loved ones, compared to a normal memorial where space is limited. By having the QR code you can say what they did in their life and tell their story. 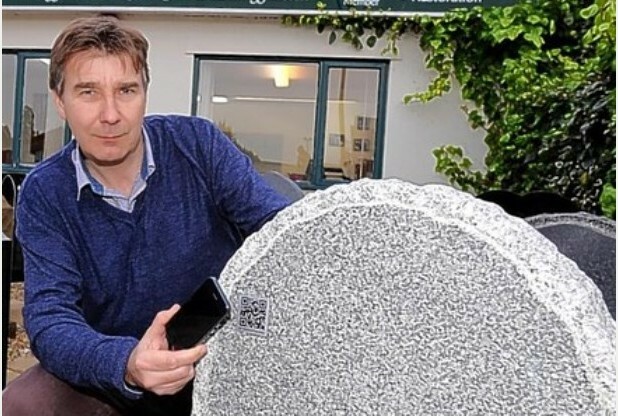 We just want to move with the times and see this as doing just that.” – Robert Williams, from Williams and Triggs, a service provider in Newton Abbot which offers headstone QR Codes. You can create a QR Code by using a free online QR Code generator. What are your views? Share your thoughts with us in the comments section below.